In the heart of the Anglo Zulu and Boer war battlefields, this extensive Cattle and Game Farm is home to abundant plains game and bird life. Ideal stop over between the Kruger Park and the Drakensberg, Johannesburg and Durban, St Lucia and the Cape. George and Herta are natural, down-to-earth couple whose veins of hospitality run deep... Herta, an Austrian, moved out to South Africa twenty-eight years ago and married George, who is a beef and game farmer. He is also a highly knowledgeable historian, which explains the painting of an unhappy Napolean on his way to St Helen which stares out at the family dining room, and the private museum full of weighty tomes on the Anglo Boer wars, boasting an extensive picture collection and library. One can spend hours immersed among the prints of battle scenes and Boer war literature including a fascinating London illustrated News annual from 1899. George also leads tours out to the nearby battlefields, especially Elandslaagte. 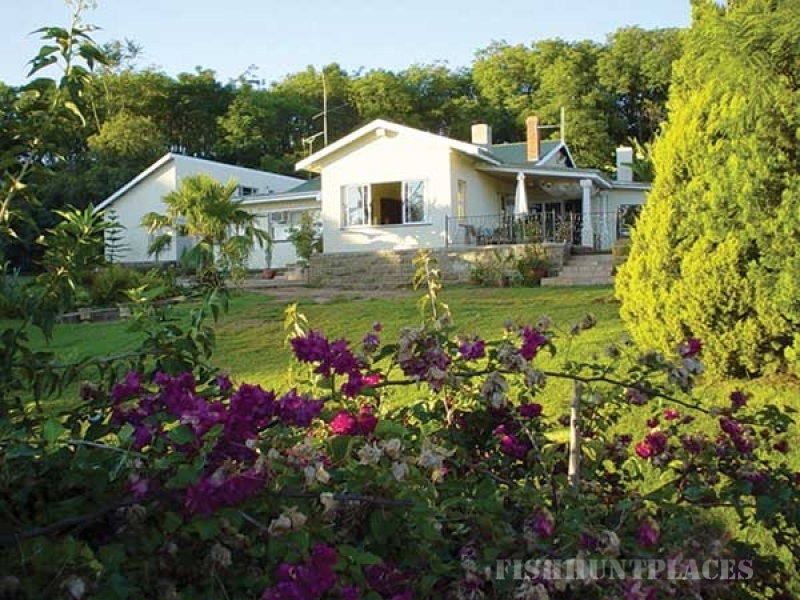 The two twin rooms at the end of the main house are both very comfortable, and across the jacaranda-filled garden is a self contained apartment with 3 bedrooms - one single, one double, one twin bedded, small fully fitted kitchen, perfect for a family or group. Beyond is the farm itself which, as well as the cattle is home to over 22 plain game species and 280 birds species. The rooms are comfortable with tea and coffee trays, wall safes, heating and electric blankets for winter and fans or air conditioners for summer. Radios, TV, hairdryers and dressing gowns are provided. 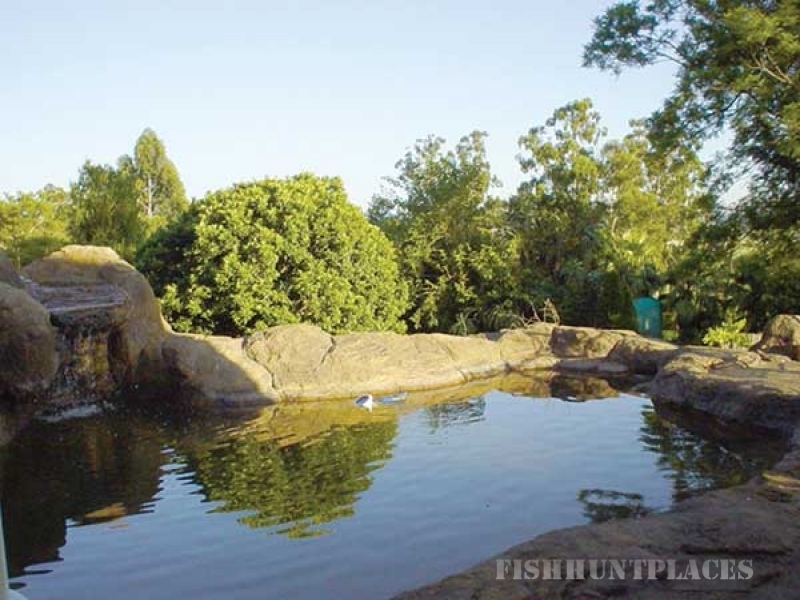 Situated deep amongst Mawelawela fauna and flora is the Game and Fishing Lodge overlooking water holes teaming with game, bass and trout. The fully equipped lodge sleeps 9, or two families. Facilities include the use of fax and internet access. Secure parking and laundry facilities on request.